Nothing can be more frustrating than being disorganized. At work, it may cause difficulties in getting tasks accomplished. At home, you may end up spending more time hunting for items that you can’t find but already have. If your financial papers are not in place before tax filing time, you lose out in a big way. The task of getting organized is monumental. Moving and storing your belongings can be overwhelming too, if you don’t know how to sort things out in advance. Learning a few tips is a good way to get you started and ease your stress. During the transition, a key consideration should be a self-storage unit near Lafayette. At 5A Rent-A-Space, we understand the pressures of packing up all your stuff and relocating to an unfamiliar region. We do everything we can to make it easier, with efficient rental spaces, a wide range of moving supplies, and a free moving van to get your things into storage when you rent a unit. 1.) Go Room by Room: Any time you have a large project in front of you, there is the danger of feeling defeated even before you start. Just thinking of the word “moving” conjures up images of piles of boxes, sore backs and short tempers. Make the job much simpler by taking on one room at a time over several days. Start with the least used room in your home, and then move on to the next, and so on. Soon you will have nicely labeled boxes ready for the moving truck headed to your new residence and better still, a free moving van that drives you to your rental storage unit for the things you’re going to store. 2.) Use Lists to Remember and Mark Items: Many individuals shrink back at the thought of making a list. Why rely on pen and paper when you can store everything in your head? The truth is that lists help you hold on to your sanity when you have to make quick decisions on moving day. Separate your belongings into piles when you are packing up room by room. Mark the items you want to take with you; those that need to be donated; and the ones that go to a storage unit. When you keep your personal belongings in storage, a handy list will help you keep track of all items in the unit. Make sure you write on the outside of every box, what is inside it and the room it came from. Another suggestion is to write the value of items going to your rental storage facility on your storage list. 3.) Keep Plenty of Packing Supplies on Hand: Save yourself headaches by having all your packing supplies ready to use. Gather up boxes, tape, marking pens and scissors in a central location, so you can grab them quickly. If you cannot find everything you need, rely on 5A Rent-A-Space; they carry supplies and offer monthly discount coupons on items like boxes, packing tape, and bubble wrap. Reserve your self-storage unit online now. Call 5A Rent-A-Space at 925-643-2024 or toll-free at 1-800-5ASPACE (1-800-522-7223) to learn more. Not sure how much space you will need? Use our online Space Calculator to estimate the best unit size for you. 4 Tips for Your Lafayette Move During Spring - Self-Storage Units and a Free Moving Van Make it Easier! As winter fades into spring, many feel the desire to make changes. Some families clean out their garage. Others spring clean their homes. Sometimes the change is more drastic, such as relocating across town or to a new state. Spring is an ideal time to make the move as you avoid the summer heat. This season is also cost-effective because it is just before the peak period for moving companies. More people relocate during the summer than at any other time of the year. If spring fever has grabbed you and makes you itch to pack up in search of new adventure, we can help you make the transition between homes easier. Use a 5A Rent-A-Space self-storage unit near Lafayette to free up room and keep your belongings in the interim period. Need boxes and packing supplies? We have those too. No need to sweat the small stuff; take advantage of spring moving with a reliable company. 1.) Take Only What You Need: Many home owners put their houses on the market this time of year. If you are planning on doing the same, now is a great time to declutter. Your home will be more appealing to prospective buyers, and you will have less items to lug around with you later. Not sure what to do with all that stuff? You can sell, recycle, trash or donate unwanted items. For items that you will be taking with you, rent a self-storage unit and store them while waiting for your home to sell. 2.) Set up a Grand Garage Sale: What better way to get rid of unwanted furniture and clothes, and make a little extra cash, than a garage sale? Many look out for a good bargain at this time. A little planning can pay off in a big way. Pull out and clean up belongings you want to sell. Be sure to price them clearly. Plan your date and time to draw the most traffic. Don’t forget to advertise in the area and also online! 3.) Take Advantage of Off-Season Prices: Spring time is probably the best season to move. The weather is warmer. You enjoy fantastic savings from professional moving companies during the off-peak season. The chances of having a scheduling conflict are much lower during this time too. 4.) Rent A Storage Unit from 5A and Get a Free Moving Van: Avoid waiting until the last minute to determine how you are going to transport your belongings. Get a jump-start by asking for recommendations on professional moving companies in the area. Obviously, you want a reasonable price, but remember that professionalism and experience count too. If you are planning on doing everything yourself, now is the time to check out companies that rent out trucks. Need items transported to a storage rental unit? When you rent from 5A, you may be lucky to find a special deal and have access to a free moving van to make your move easier. Less stress and less money spent on transportation for your move. Embrace the adventure at the best possible price and take full advantage of a spring move. 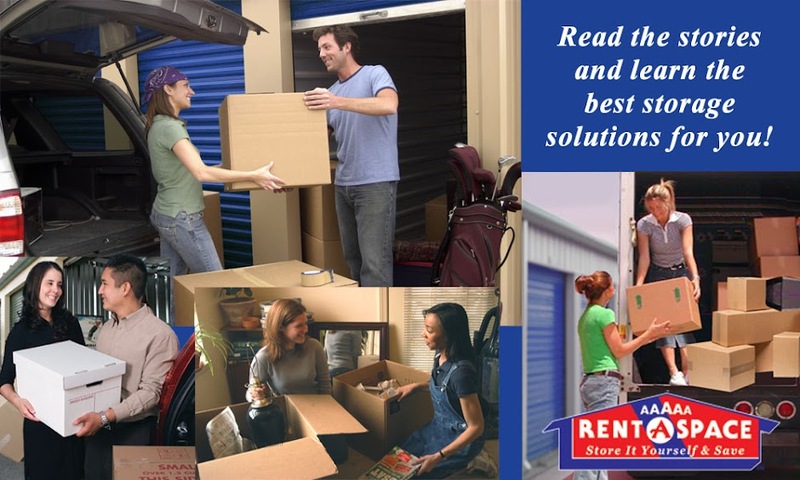 Relieve additional stress by renting a self-storage unit near Lafayette from 5A Rent-A-Space. You can also buy suitable packing supplies and utilize their free moving van to get your items into storage and ease the burden of moving. Reserve your self-storage unit online now. Call 5A Rent-A-Space at 925-643-2024 or toll-free at 1-800-5ASPACE (1-800-522-7223) to learn more. Not sure how much space you will need? Use our online Space Calculator to estimate tthe best unit size for you.